A sports management firm has struck a deal with one of the freshest faces in test cricket to turn him into a global star. Vic Sethi the managing director of Hyundai Corporation, working with Clifton International Sports Management and other business partners, work to launch Monty’s brand to another level and make a global name. 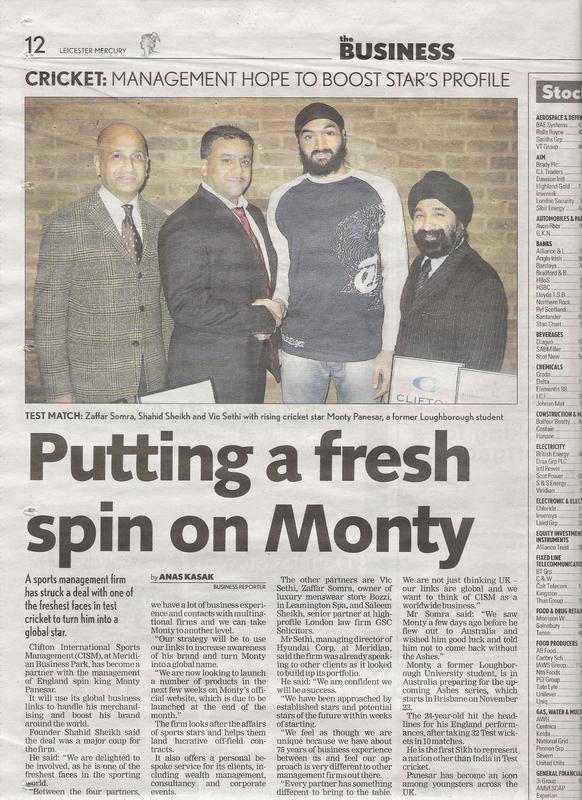 Monty Panesar, a 24 year old former Loughborough University student, hit the headlines for his England performance after taking 32 test wickets in 10 matches. Monty is the first Sikh to represent a nation other than India in test cricket.